The Pro-Life movie, Unplanned has been making a huge impact at the box office changing hearts and minds even amongst abortion clinic workers. It has already pulled in $12.8 million at the box office and is said to be the #1 grossing independent film in theaters. But, more than that, it has the power to challenge people in the industry to reconsider their involvement just like Abby Johnson did. The movie tells the story of the former clinic director of Planned Parenthood, who resigned from her job and became a Pro-Life advocate. Since leaving the abortion giant, Abby founded the non-profit, And Then There Were None (ATTWN) which seeks to end abortion from the inside out by helping abortion clinic workers to leave the industry. Now the movie’s writer and director, Chuck Konzelman, has revealed in a congressional testimony that 94 abortion clinic workers have come forward seeking ATTWN’s help to leave their jobs. This is a phenomenal breakthrough and shows Unplanned’s sensitivity to the whole abortion debate and non threatening approach. Speaking at the US Senate judicial committe on Wednesday, April 10, 2019 the filmmaker stressed that Unplanned doestn’t portray abortion clinic workers as monsters. Instead, its encouraging to see that so many workers have found something redeeming about the movie and are taking personal action as a result. 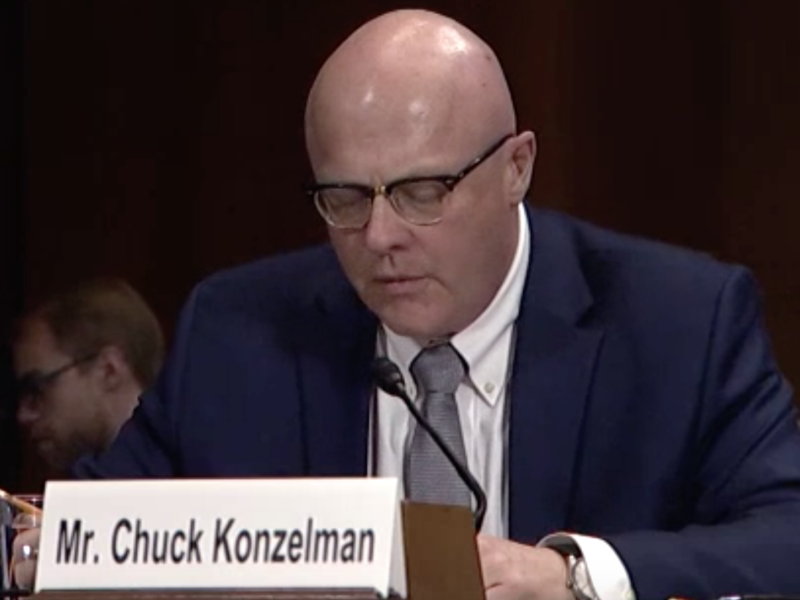 In his congressional testimony, Chuck also addressed multiple accounts of large tech corporations stifling the promotion of the movie. Read Blocked By Google, Banned By Twitter – Unplanned Fights Back. It seems there are spiritual forces at work that do not want anyone to see this movie and are trying their best to hush every voice. Let’s stand in unity against this attack by going to see the movie for ourselves and making up our own minds. Despite everything that has come against it, Uplanned continues to touch millions of lives by shedding light on the truth of abortion and Planned Parenthood. Let’s pray that many more abortion clinic workers would leave the industry. God is moving in an intentional and powerful way through this movie. It is time for the eyes of the people to be opened and for every life that was taken by abortion to be vindicated. To learn more about Abby Johnson’s And Then There Were None, click here!